GregRobert Pet Supplies is proud to carry popular brands of Pet Doors including Cat Flap, Freedom, Extreme Weather, Petsafe, InfraRed, Magnetic, Patio and others. 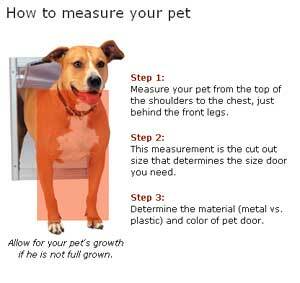 A dog or cat door can be a wonderful convenience for you and your pet. We carry basically two manufacturers of pet doors: Staywell (now called Reilor) and Petsafe. Both manufacturers carry high quality pet doors and stand by them with warranties. Our newest addition is the "Dead-bolt" pet door pictured below.